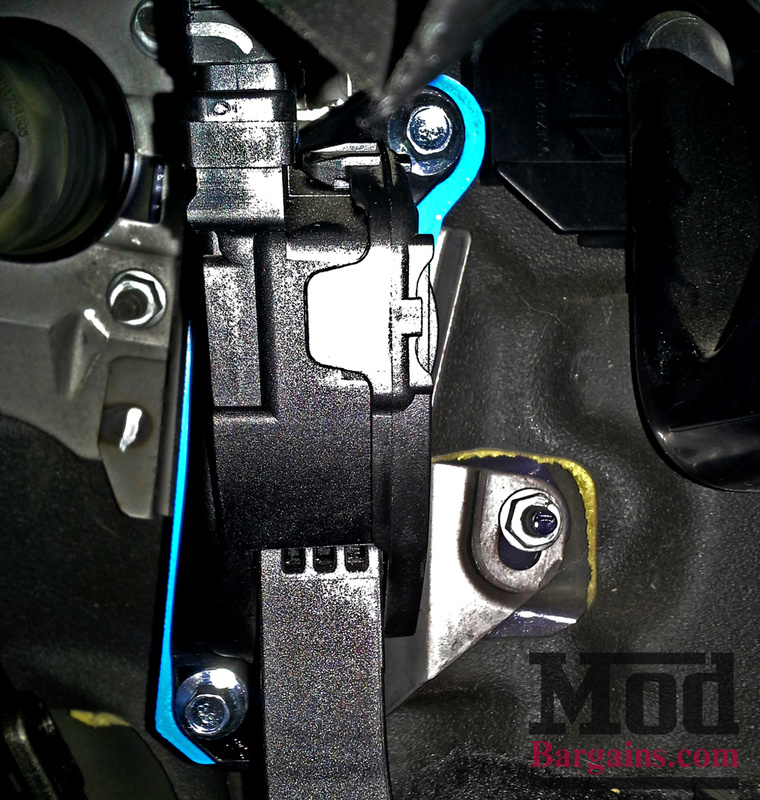 Make your Gas, Brake and Clutch Pedals EVEN and drive comfortably in your Fiesta ST with the ASD pedal lift spacer! Drive with comfort! Proper throttle height eases stress on your ankle and leg making longer drives more enjoyable. The Ford Fiesta ST are great performance hot hatches that are incredibly rewarding to drive. Unfortunately, the Ford Fiesta ST suffers from an ergonomic problem that causes us to drive in awkward positions and makes proper heel-toe techniques difficult. The accelerator pedal sits approximately 1.5in deeper than your brake and clutch pedals, causing your leg and ankle to make some uncomfortable moves as your foot moves from gas pedal to brake. While you may not have noticed the problem in the past - try driving another manual transmission car and the problem becomes obvious. This means that road trips can leave your ankles feeling sore and overextended, and driving is much less comfortable than it could be. Active Shift Designs has developed this simple fix for the problem - an Accelerator Lift Spacer, which brings the Gas, Clutch and Brake pedals all even with each other, allowing for proper heel toe and a much more comfortable driving position, even allowing you to sit further back in the seat, meaning shifting feels more natural, too. 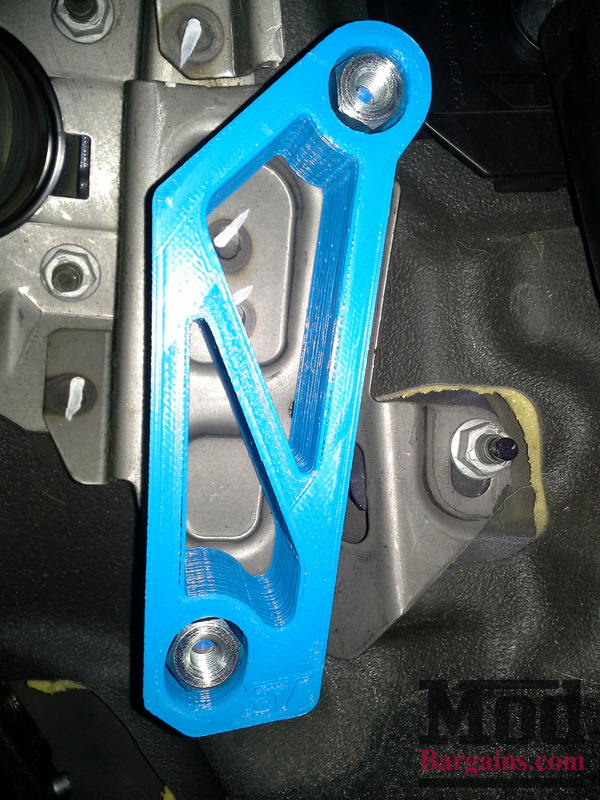 Other accelerator pedal spacers on the market are made of expensive billet and only extend the pedal out a little bit, far short of where it should be, because those kits are limited by the length of the studs the accelerator pedal assembly mounts onto. Precision 3d printed in high-strength ABS Plastic, this spacer provides an even and level mounting surface for your accelerator pedal to mount against, and features coupler nuts precisely the right length that thread onto the OEM accelerator pedal mounting studs and includes new hardware to safely and securely mount your accelerator pedal module. Available in Red, Blue, White or Black to match your ST, and each spacer features an embossed "ST" logo. "I didn't think the pedal position of the Fiesta and Focus was a problem, until I tried using a 3-pedal race simulator, and found that my heel toe movements were way off - and it stank in how big of a difference there is. 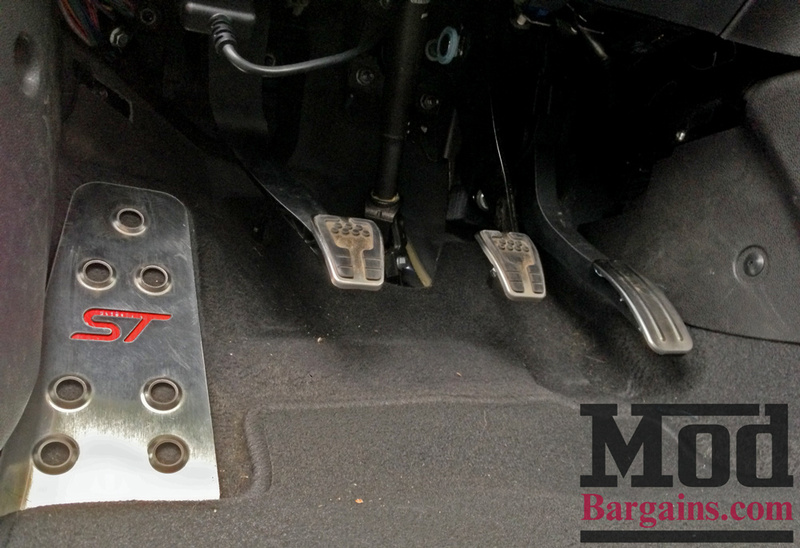 After installing the Active Shift Designs Pedal Lift Spacer, my gas clutch and brake pedals are all even - it changed where I sit in the car and the feel of driving it, and it was much less strain on my ankle. I put this spacer to the test through a full weekend of Drag Racing and more than 90 miles in the serpentine mountain roads of Southern California, and I gotta tell you, it made a huge difference in how comfortable it was to really flog the car, and at the end of a day of driving, my knee and ankle weren't sore like they usually were. If you don't have one of these on your ST, you're doing it wrong. HIGHLY recommend." 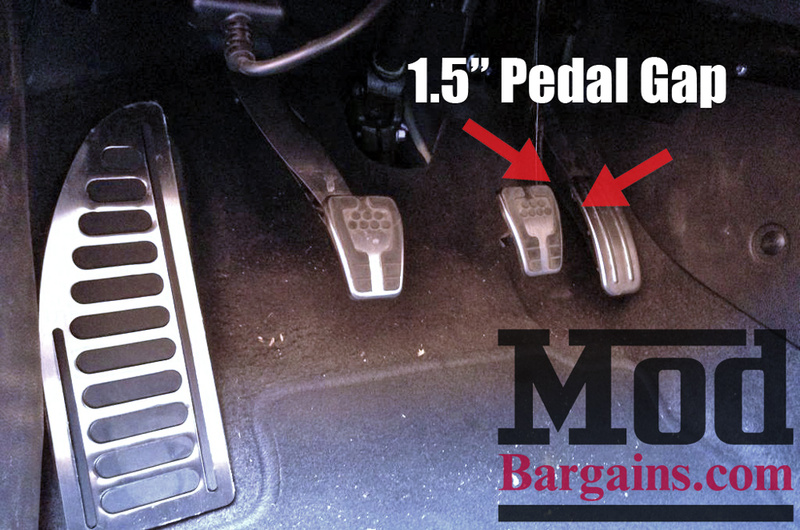 Automobile Magazine tried the ASD Pedal Lift Spacer and found it resolved most of their complaints about the pedal spacing. Here's what Automobile writer Joseph Capparella's impressions were:. 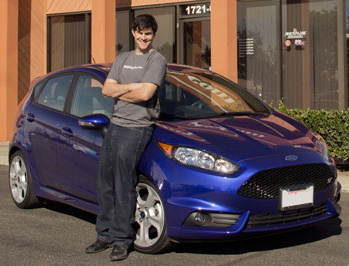 "The gas pedal in the 2014 Ford Fiesta ST is placed significantly closer to the firewall than the brake and clutch pedals, making finding a comfy seating position tough and heel-and-toe shifting near impossible. That’s especially frustrating on such a performance-minded car, but we found a product from ModBargains.com that aims to fix this issue. It’s a 3D-printed plastic spacer that fits in behind the throttle pedal to push it forward a bit so it’s even with the clutch and brake pedals. Worried about mounting your accelerator module to a plastic part? Don't be - the spacer is made of high-strength ABS plastic, but more importantly the load bearing parts of this design are the steel coupler nuts and studs, as OEM - and the plastic spacer is simply providing a stable platform mount up against, so you can be confident that your gas pedal is securely mounted. Makes a huge difference driving this car at the limit! Every ST from the factory should have one fitted as STANDARD! Drive your fiesta st the way it was meant to be driven. Deep into corners, with perfect rev-matching on downshifts, that 1.6L singing. This piece of 3D printed motorsports awesomeness is the answer to all your buzzy downshift desires.